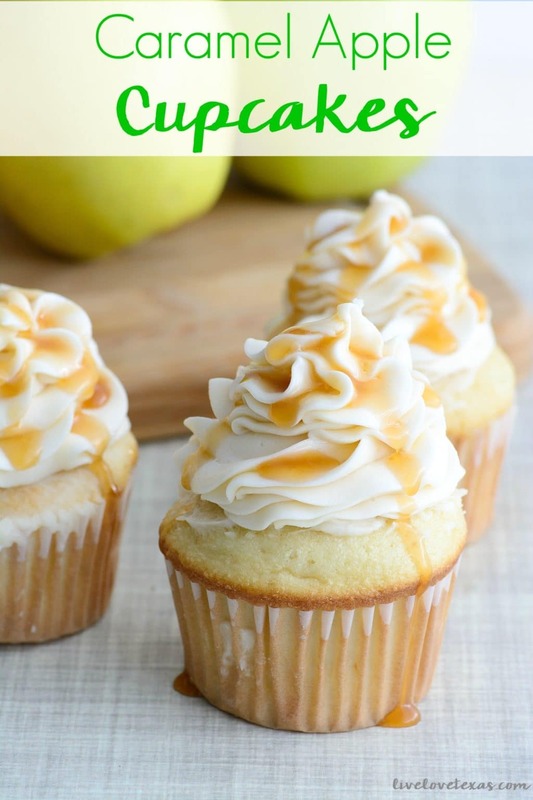 This easy Caramel Apple Cupcakes recipe combines apple cupcakes from scratch with a homemade caramel buttercream frosting to take it over the top and get you ready for all things fall! When you think of fall, what flavors come to mind? Whether you gravitate more to the salty or the sweet, you’ll eventually end up thinking about caramel and apples. And caramel apples. 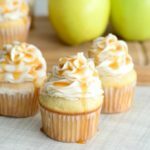 This year take your idea of caramel apples to a new level by combining the two into this easy caramel apple cupcakes recipe! This recipe is seriously so easy and people will be requesting you make another batch all fall long! This is what you need to make my popular caramel apple cupcakes. 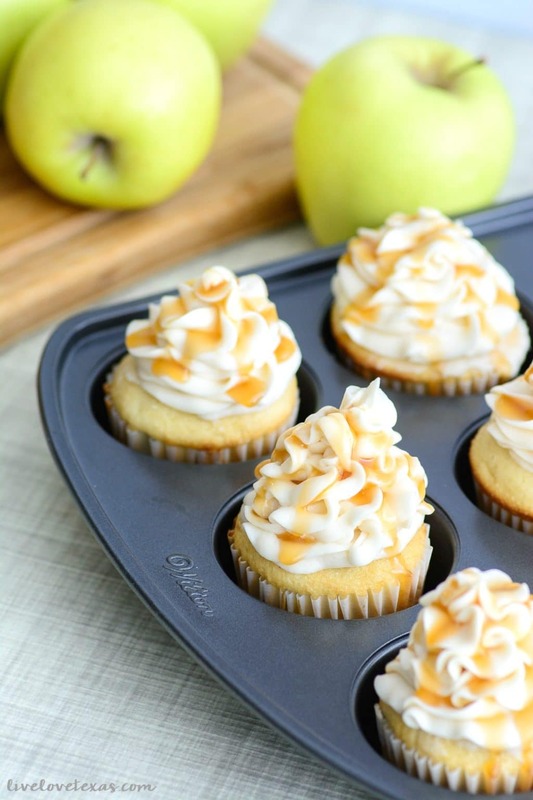 These are basically apple cupcakes with a homemade buttercream and caramel drizzle. It’s so incredible. Honestly, I love using a more tart apple for baking. The apple flavor remains more robust after baking and the sugars I add bring out the sweetness of the apple. So I like green apples like Granny Smith apples. Frosting cupcakes takes practice. If you can, invest in a piping kit. Wider tips will produce a thicker frosting swirl on your cupcakes. Go slow. You can’t rush perfection. Practice, practice, practice. Try piping the frosting at an angle and then from more above the cupcake and see what looks best. 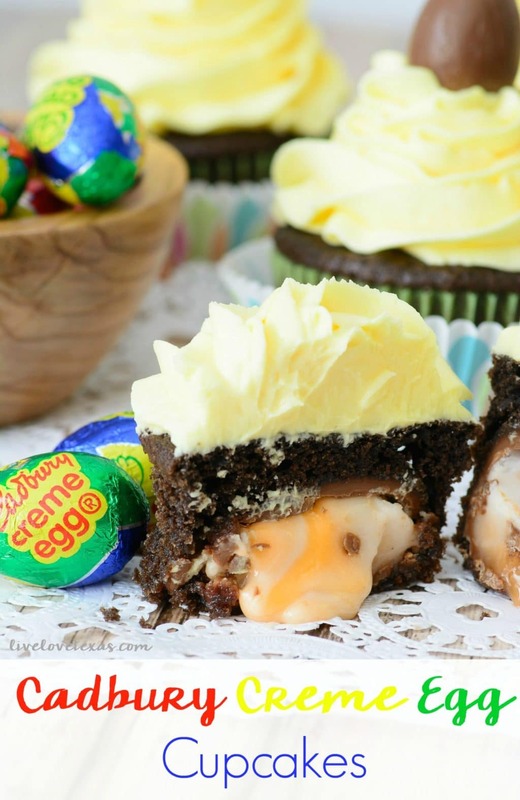 If you want, you can also use zip-top freezer bags to frost cupcakes. Just snip the corner and begin frosting the cupcakes. But you won’t get the pretty swirls like you will with a frosting tip. 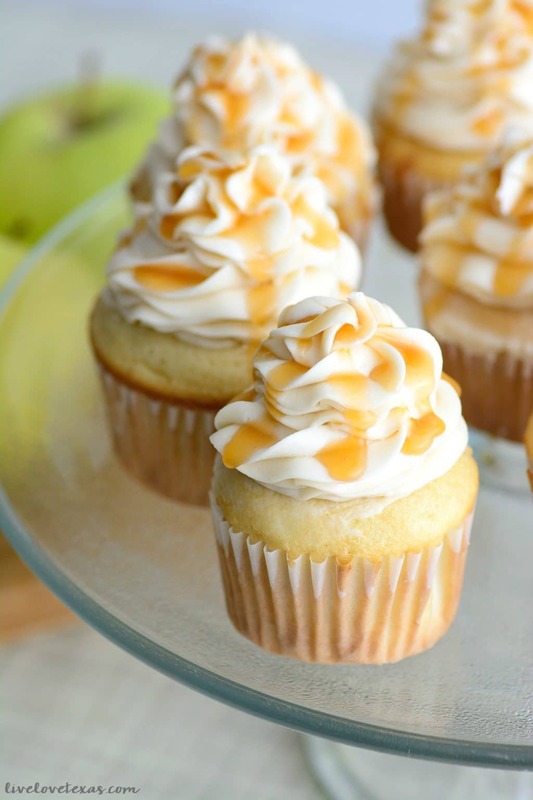 These cupcakes are apple cupcakes with buttercream frosting and caramel sauce drizzled on top. I didn’t create my own caramel sauce because it is just so much quicker to buy the caramel sauce from the store. But you can make your own caramel sauce if you have time. But I can’t tell you enough, homemade buttercream frosting is super easy to make and worth every minute. It tastes so much better than canned frosting. To make your own homemade frosting, just mix shortening, butter, and powdered sugar! Yup! It’s that easy! And adjust the amounts of the ingredients based on your thickness preference. Here’s the recipe. Print the card and don’t forget to pin this post to Pinterest so you can find it later. You’ll just LOVE the caramel apple cupcakes recipe. Mix flour, sugars, baking soda, baking powder, cinnamon and nutmeg in a large mixing bowl. Add eggs, vanilla extract, sour cream, applesauce and butter. Mix on medium speed just until combined and smooth. Be careful not to over mix. Allow to cool for 1-2 minutes, then move to cooling rack to finish cooling. To make the buttercream, cream butter and shortening until smooth. Add 2 cups of powdered sugar and mix until creamy. Add caramel and mix again until creamy. Add remaining powdered sugar and mix one more time until smooth and cream. Pipe frosting onto cupcakes and a drizzle of caramel. 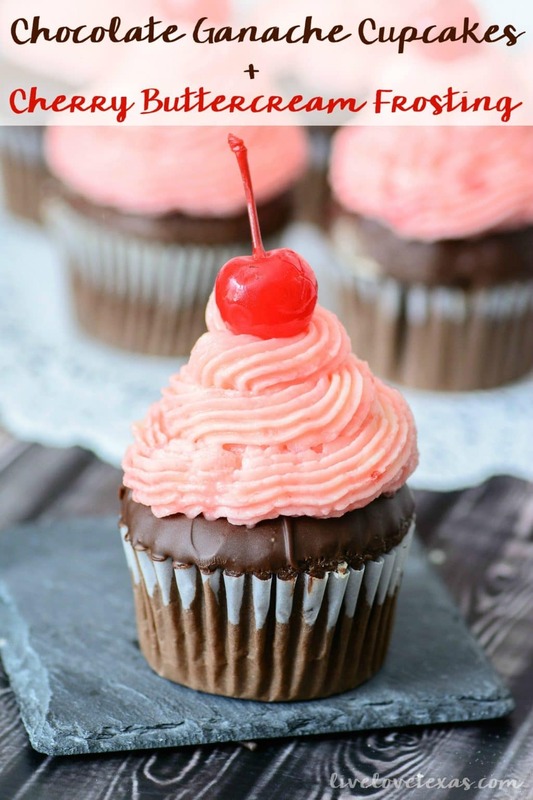 If cupcakes are your dessert of choice, make sure to check out these other easy cupcake recipes from scratch! 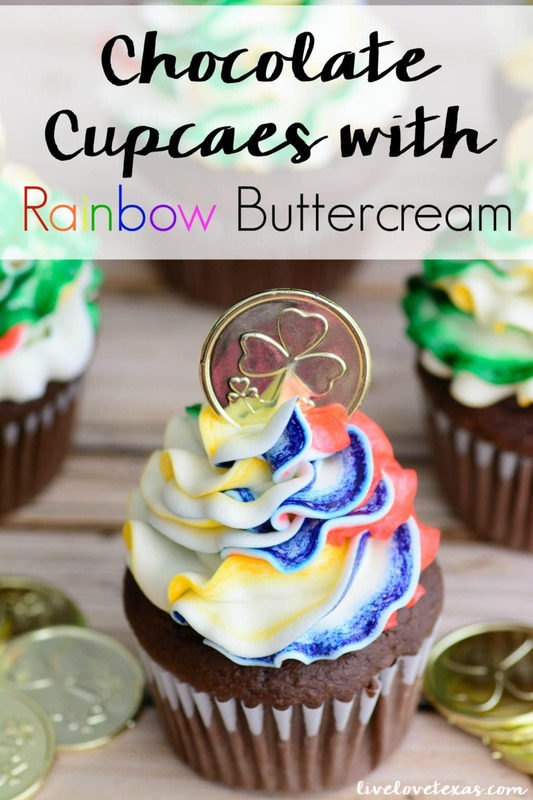 Sometimes I go a little cupcake crazy, so follow me over on Pinterest to see all of the delicious things I’m pinning!